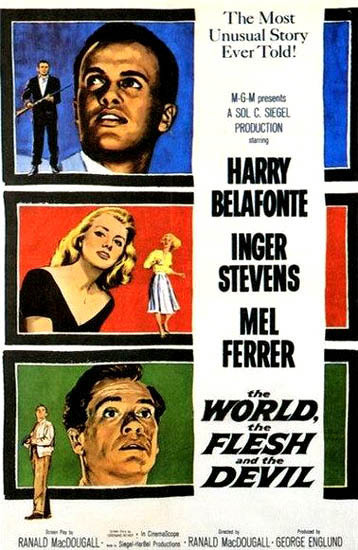 THE WORLD, THE FLESH, AND THE DEVIL - (1959) (b&w) 95 min: Starring: Inger Stevens, Harry Belafonte, Mel Ferrer. 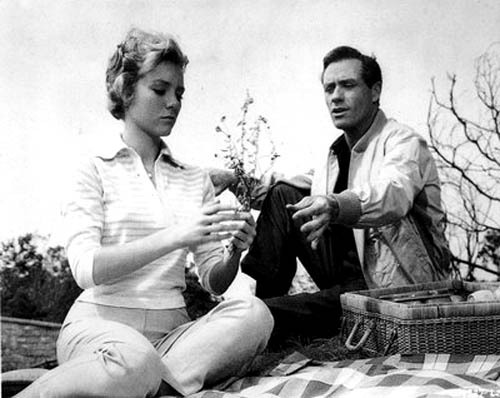 Intriguing end of the world melodrama taking place in a post-nuclear deserted New York. Two people, a black man and a white woman, are seemingly the only survivors left in the world. Their already uneasy relationship is jarred even further by the arrival of another man. 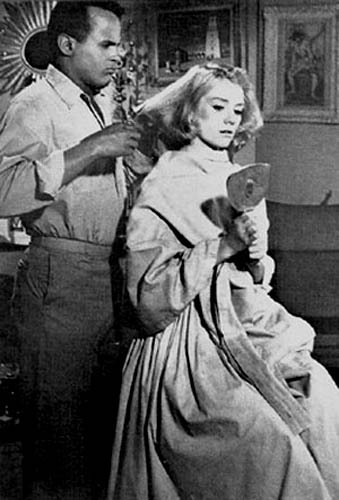 A solid performance by Belafonte and the youthful beauty of Stevens lift the film beyond the cliches of the period.